'The Breakfast Club' host Charlamagne Tha God recounts his experience interviewing Hillary Clinton during the 2016 election, and discusses the need for more women in power positions throughout government and beyond. Larry King: You seem to have bonded with Hillary. Larry King: I’ve known her a long, long time. Think she’d have been a great president? 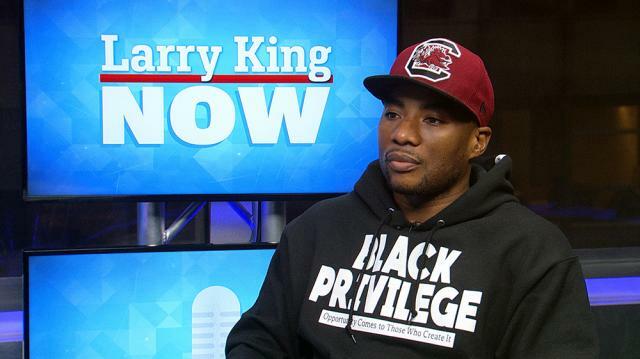 Charlamagne tha God: I think she’d have been an amazing people. And you know a lot of people would say, “Oh she’s a woman, and woman aren’t meant to lead,” but I’m like, “Women have been the CEOs of our lives since day one.” Whether she’s your grandmother, your mother, your aunts, women control everything, women turn a house into a home. So she’d have made the White House a White Home.